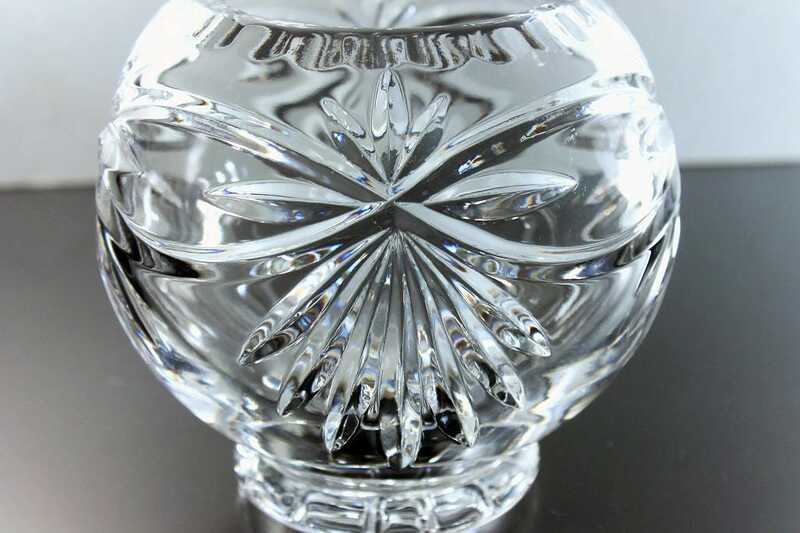 A gorgeous crystal cut glass rose bowl. Maker is unknown. 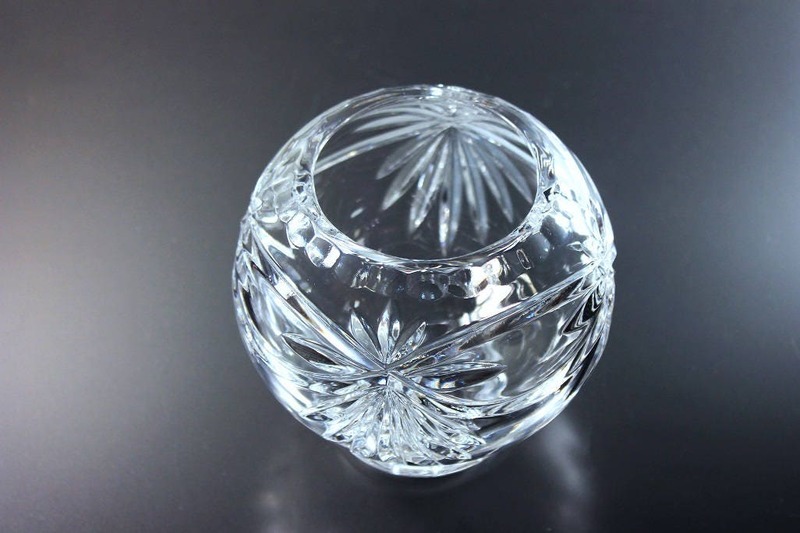 The cut glass bowl is round with a wonderful fan pattern cut into the glass. 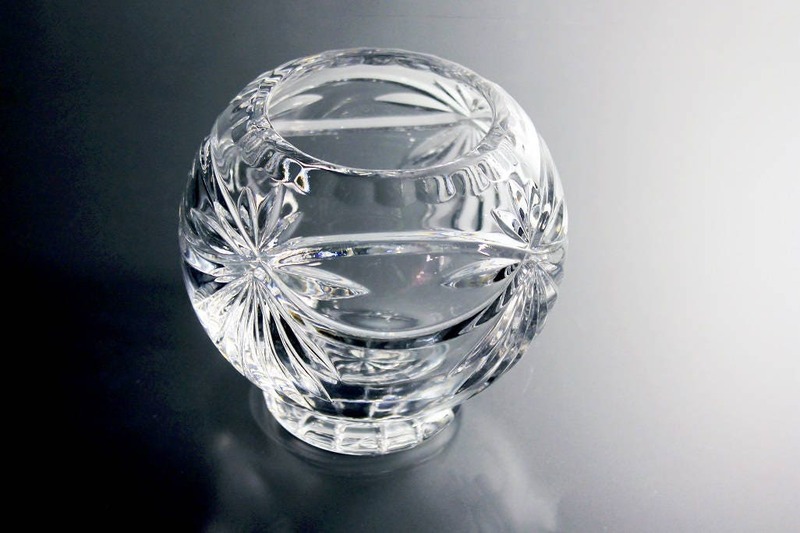 This bowl would be a wonderful addition to your home decor. 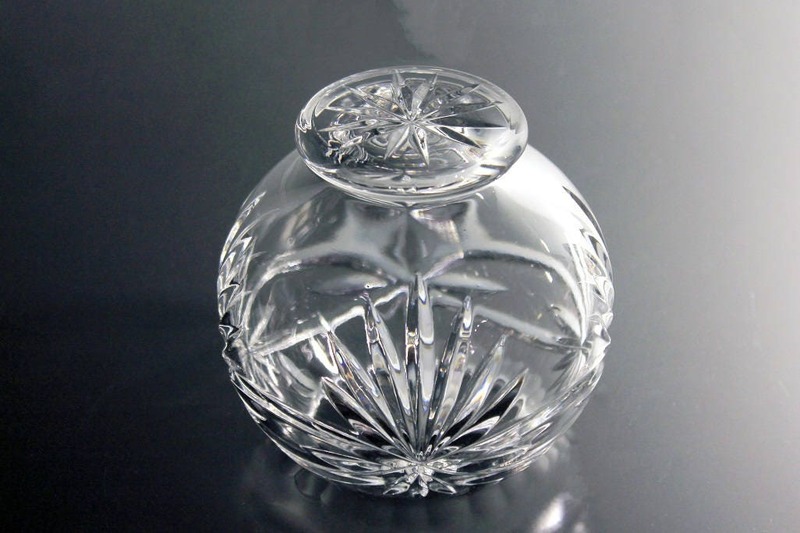 It would be stunning and elegant in any setting. 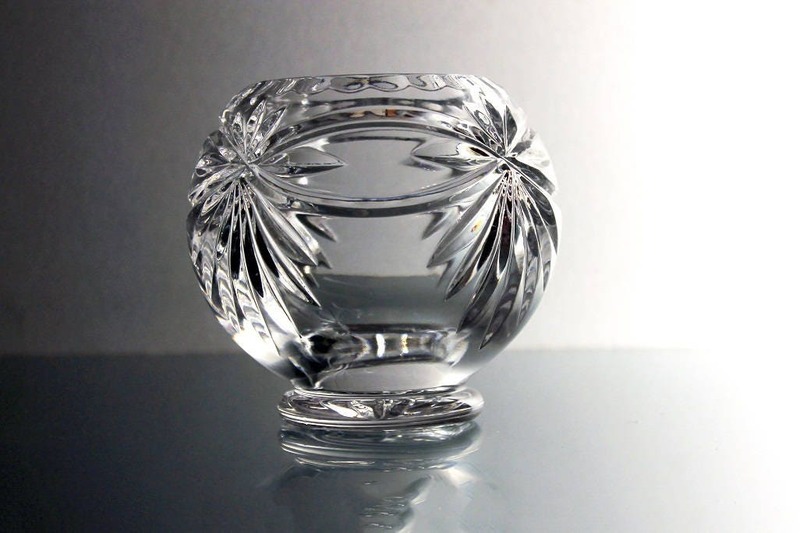 In Europe they were called "potpourri bowls" and the name "rose bowl" is used for more or less spherical bowls with a metal grill on top, designed to hold rose stems. 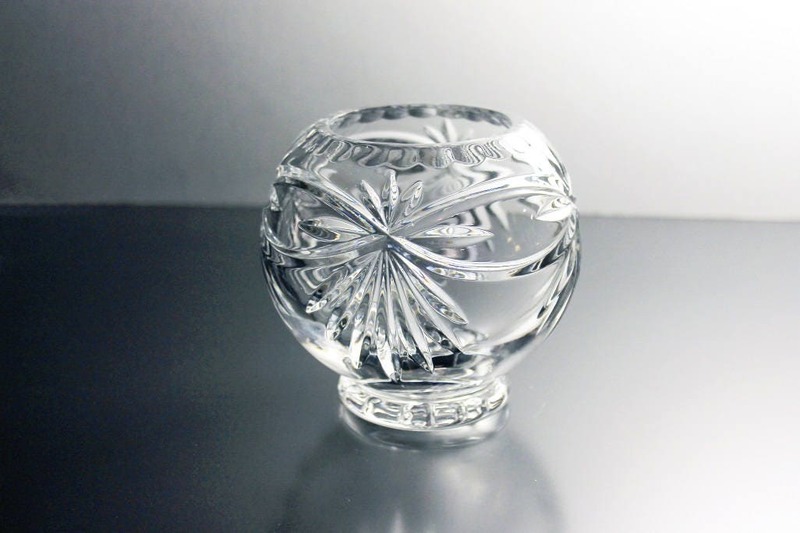 Rose bowls are mostly used for dried rose petals and potpourri, to float rose blooms, or as vases for short-stemmed flowers. 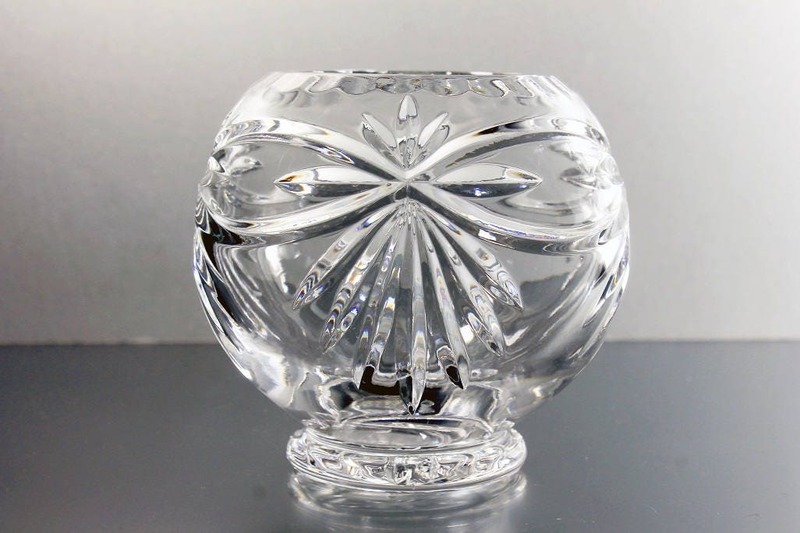 This crystal bowl is in excellent condition. It has no chips, cracks, or scratches. 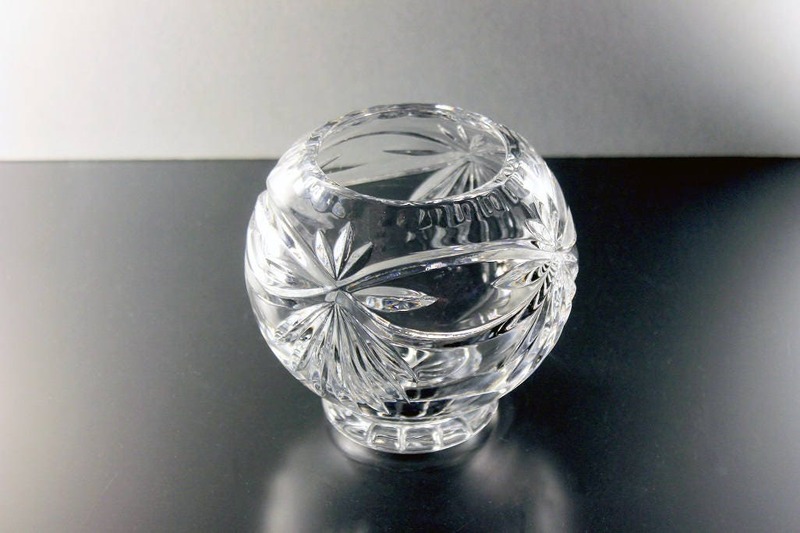 The glass very clear and reflects light beautifully. 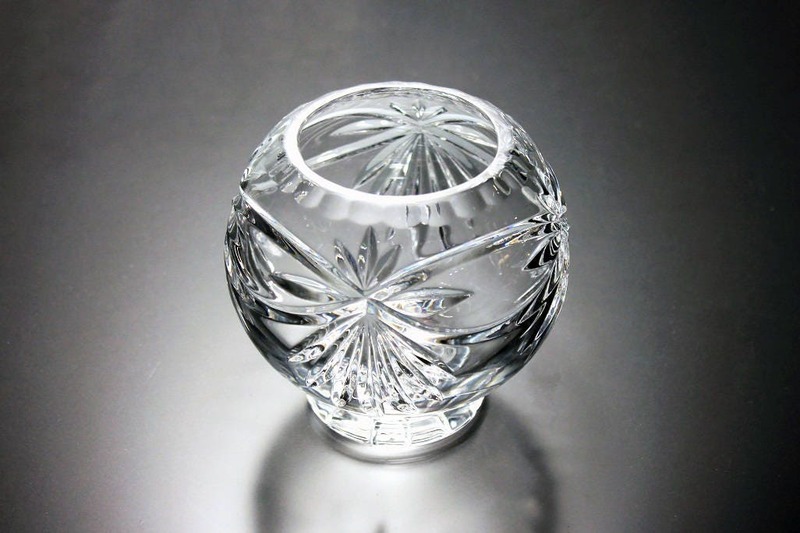 It would make a great wedding shower, wedding, hostess, or housewarming gift. 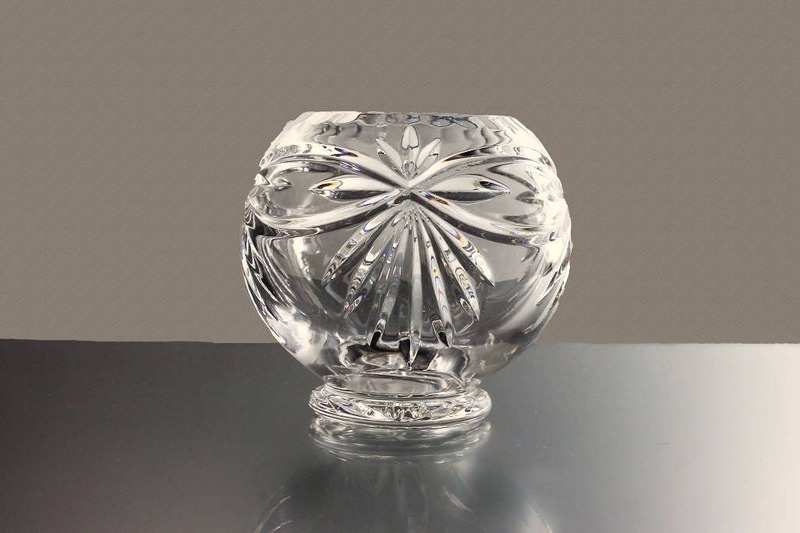 Treat yourself to a lovely crystal rose bowl.